As the public purposes of higher education are being challenged by the increasing pressures of commodification and market-driven principles, Deliberative Pedagogy argues for colleges and universities to be critical spaces for democratic engagement. 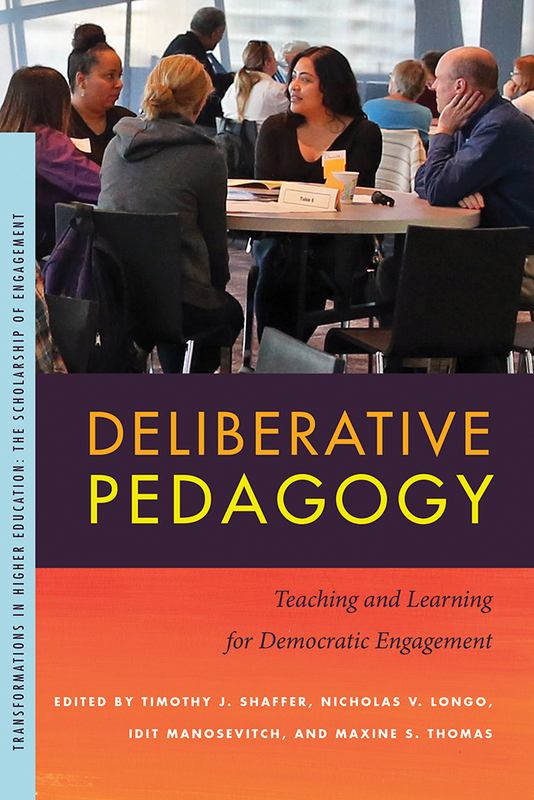 The authors build upon contemporary research on participatory approaches to teaching and learning while simultaneously offering a robust introduction to the theory and practice of deliberative pedagogy as a new educational model for civic life. This volume is written for faculty members and academic professionals involved in curricular, co-curricular, and community settings, as well as administrators who seek to support faculty, staff, and students in such efforts. The book begins with a theoretical grounding and historical underpinning of education for democracy, provides a diverse collection of practical case studies with best practices shared by an array of scholars from varying disciplines and institutional contexts worldwide, and concludes with useful methods of assessment and next steps for this work. The contributors seek to catalyze a conversation about the role of deliberation in the next paradigm of teaching and learning in higher education and how it connects with the future of democracy. Ultimately, this book seeks to demonstrate how higher education institutions can cultivate collaborative and engaging learning environments that better address the complex challenges in our global society. Timothy J. Shaffer is an Assistant Professor in the Department of Communication Studies and the Assistant Director of the Institute for Civic Discourse and Democracy at Kansas State University. He is also the Principal Research Specialist at the National Institute for Civil Discourse at the University of Arizona. Nicholas V. Longo is the Chair of the Department of Public and Community Service Studies and a Professor of Global Studies at Providence College. Idit Manosevitch is the Founding Director of the Center for Teaching and Learning and a faculty member in the School of Communication at Netanya Academic College in Israel. Maxine S. Thomas is the Vice President, Secretary, and General Counsel for the Kettering Foundation. For more information about both Deliberative Pedagogy and the growing disciplinary field behind it, check out the Deliberative Pedagogy Lab, which offers a multitude of resources exploring this exciting and innovative discipline.